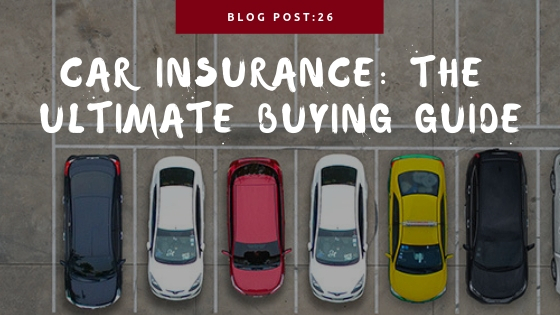 Given that all but two states require car insurance before you take your car out of the driveway, shopping for car insurance is a necessary evil for everyone. When shopping for insurance, in the greater St. Louis, Missouri area, how much companies can charge you may vary widely. It’s easy to get taken for a ride by insurance companies out to make money off your back if you don’t know how to shop for car insurance. Here are five tricks to ensure you save money on insurance this year and every year. If you already have insurance, you should do a rate check every few years to double check that you’re paying the best price for your insurance coverage. Look at what a few insurers have to offer so that you’re saving as much as possible. Check out the market whenever your circumstances change. If you get married or add a teenage driver to your policy, everything about your policy is going to change, including the price. Check for a set of better deals if you’re making changes to your policy. Shop around to a few different insurers if you find that your next policy change is going to cost you too much. Before you make any changes, see what your current policy covers. If you have any records of previous accident claims or any kind of moving violations, expect to be asked about this when you get a new premium quote. If you get a good rate from a subpar insurer, make sure to ask about what kind of coverages they’ll offer you. Cheaper does not always mean better. Going with lower coverages may sound like a good idea to lower insurance rates but if you have an accident, it can cost you a lot more in the long run. Always work with your insurance agent to find the best rates at the right coverage. Saving money requires you to find an insurer whose premiums are worth the price. A low premium isn’t all that it’s cracked up to be. Insurers that are not top rated could cost more if you get in an accident. Working with an unknown, lowly rated insurance carrier, runs the risk of a poor experience in the event of a claim. They may lowball your loss estimates or have the people working on your repairs cut corners. Don’t consider price without also considering service or the kind of reputation a company has. Some larger companies end up with poor reputations based on their consistently weak service. Smaller companies may surprise you by offering better service at a lower price. Those smaller companies might just be harder for you to find. Looking at customer ratings and reviews, you’ll find out who’ll meet your needs best. Part of your insurance agent’s job is to know who the best carriers are for you. Lower deductibles mean higher premiums. However, higher premiums aren’t always a waste of money. A lower deductible allows for better control of your monthly budget. If you have a claim, you can rest easy knowing there is not a large out of pocket bill you have to pay for your car repairs. However, if you have an older car that isn’t worth much, you may consider removing your own collision coverage to save on costs. You definitely want to do the math on cost/risk savings before ever removing a coverage though. Even if you’ve been at fault for an accident in the past, after enough time has passed, you won’t see much of a difference in your insurance premium. Either way, it’s always smart to keep a rainy day fund around in case luck runs out for you and you need to pay your deductible for an accident. Keeping a good credit score offers some great benefits in every aspect of your financial life. People with a good credit score are considered more trustworthy and responsible than other drivers. The practice of basing an insurance rate on a credit score isn’t legal in every state. California, Hawaii, and Massachusetts have made it illegal. However, in other states, a good credit score is the key to keeping insurance premiums low. Low scores mean higher insurance premiums and vice versa. There’s no formula for calculating how much you’ll pay for having a poor credit rating. Every insurer weighs these elements differently. The difference can be massive in some states. A “good” credit rating versus an “excellent” credit rating causes some insurance premiums to vary by hundreds per year. In some states, a “poor” credit rating leads to a premium difference that’s more costly than having two DWI convictions on your record. Talk to your insurance agent if you saw your premiums hike up recently. If you’re working on your credit score, let your insurance agent know so that they can re-quote your auto insurance policy if necessary. The make and model of your vehicle matters a lot when you’re shopping for insurance. Your premium is going to vary by which car you choose. The price and availability of replacement components matter a great deal when choosing a car. Some cars are also more prone to having higher insurance rates if they are sports cars. Some makes and models are bought for the power fo their engines. Insurance companies have seen that people with faster and more powerful cars may drive more recklessly. Also, these types of vehicles can be very expensive to fix due to the need for high performance parts in repairs. If your car is thin on safety features, insurance premiums will be higher because of the price of hospital bills in case of an accident. When in an accident the chance of injuries to you or your passengers is higher. All of these things play into an algorithm calculating the cost of your insurance premium. It’s a good practice to contact your agent at Mathenia insurance to get a quote for a vehicle before you buy it, so you know what your insurance is going to be. If you learn the terminology and get a handle on your needs as a driver, you’ll get an understanding of how to shop for car insurance. Once you’ve learned the common tricks of the trade, you’ll start saving hundreds or even thousands every year. Reach out to Mathenia insurance in St Peters, MO to make sure you have the best rates and the right coverage for your car insurance.